EVs use the latest car technology. EVs can help reduce pollution. EVs can cost less to run than gasoline vehicles. Battery EVs run entirely on electrical energy. 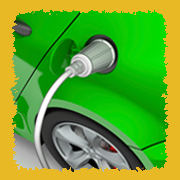 Instead of a fuel tank, batteries store the electricity that is used to operate an EV. These batteries can be charged by plugging the vehicle into a charging station. The batteries store the electricity until the vehicle is driven. 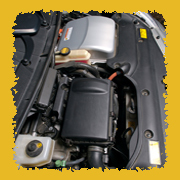 Under the hood, an EV consists of an electric motor, one or more controllers, and batteries. The controller governs the amount of electricity that flows from the batteries to the motor when the driver steps on the accelerator. 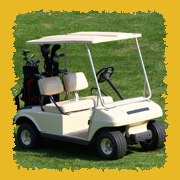 The motor changes electrical energy from the batteries to mechanical energy, which makes the vehicle move. Driving an EV down the road produces no pollution at all. Even when pollution related to power plant electricity production is factored in, EVs produce less pollution than gasoline or diesel vehicles. EVs are also twice as efficient as gasoline or diesel vehicles, if you compare the energy used in creating gasoline at a refinery to that used to produce electricity in a power plant. When an EV is stopped in traffic, it doesn't have to use fuel to keep the motor running like a gasoline engine does. Added efficiency is created by something called "regenerative braking." When an EV slows down, the motor continues to turn, but the power no longer flows to the wheels. Instead, the power is fed back to the batteries, giving them a small charge every time the driver stops or goes downhill. A hybrid electric vehicle is a vehicle that uses two power sources. 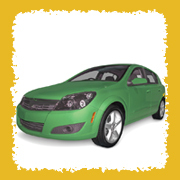 The most common hybrids on the road today are gasoline-electric hybrids, also called hybrid EVs. A gasoline engine and an electric motor power these vehicles. The major components of a hybrid EV include a gasoline engine, an electric motor, a transmission, and, in some models, a generator. A fuel tank stores gasoline for the engine, and a battery pack stores electricity for the motor. The transmission moves, or transmits, mechanical energy from the engine or motor to the vehicle's wheels. Hybrid EVs use smaller, more efficient gasoline engines than conventional gasoline or diesel vehicles. Hybrid EVs also produce less tailpipe emissions and provide much better gas mileage—today's models get up to 60 mpg. Burning less fuel means producing fewer pollutants. Hybrid EVs also release less carbon dioxide into the air. Carbon dioxide is a greenhouse gas that contributes to global warming.